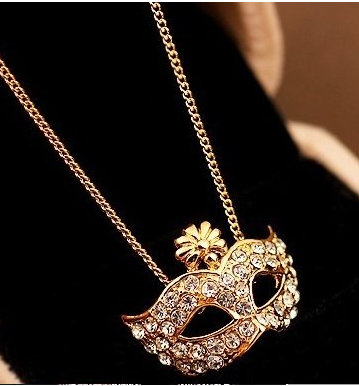 Party Mask Rhinestone Necklace Only $1.99 PLUS FREE Shipping! You are here: Home / Great Deals / Amazon Deals / Party Mask Rhinestone Necklace Only $1.99 PLUS FREE Shipping! This little party mask rhinestone necklace is cute and perfect for a teen or tween you may know! Can you believe this price?! Get your own Party Mask Rhinestone Necklace for Only $1.99 PLUS FREE Shipping!